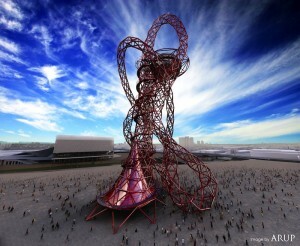 (3 July, 2012) The Olympic Art Review conference will focus on the Art in the Park commissions in the Olympic Park and the broader cultural strategy for East London to present information and critical debate on the process, activity and legacy of the art programme for London 2012. Neville Gabie ~ An Artist in Residence. Artist in residence for the Olympic Delivery Authority during the construction of the Olympic Park from September 2010 – December 2011. Debate: The Battle of Olympic Ideas ~ Good Sport ~ Good Art? Artists, architects, activists and commissioners for the London 2012 Olympic Park, ‘Art in the Park’, and East London Fringe programme will address the definition, procurement and presentation of art in public realm projects. Academic and professional assessment of the urban cultural impacts for event led regeneration. People’s Palace Project ~ cultural intervention and social transformation and development in Rio de Janeiro to link London 2012 to Rio 2016 in Brazil. Debate ~ Battle of Olympic Ideas: Good Sport ~ Good Art? – Art in the public realm as a form of social intervention / interference and cultural benefit / control. What is the future social, economic and cultural legacy of Art in the Park and East London Art Projects post London 2012? To discuss the role of art, culture and architecture as catalysts for change in shaping local identity in projects in the five Olympic boroughs. To investigate artists’ responses and interventions to civic and corporate social and political planning. To examine how art and culture-led approaches can provide wider social and economic benefits for people, places and communities. To explore the communication between aesthetic, social and political constructions in the production of artistic concepts and architectural ideas within the challenge of architectural and environmental regeneration. To examine the role and process of commissioning art – the place of the artist adapting to the language of architect – the creative role of the architect relating their concepts to artistic practice. The Olympic Art Review Conference is organised by AAJ Press ~ a knowledge and communications platform connecting art, architecture, design and urban thinking through a multi-media network ~ www ~ blog ~ online journal ~ publications ~ events ~ films ~ media and communications. Images: LLDC Queen Elizabeth Park; Monica Bonvicini, RUN; Neville Gabie, Freeze Frame.